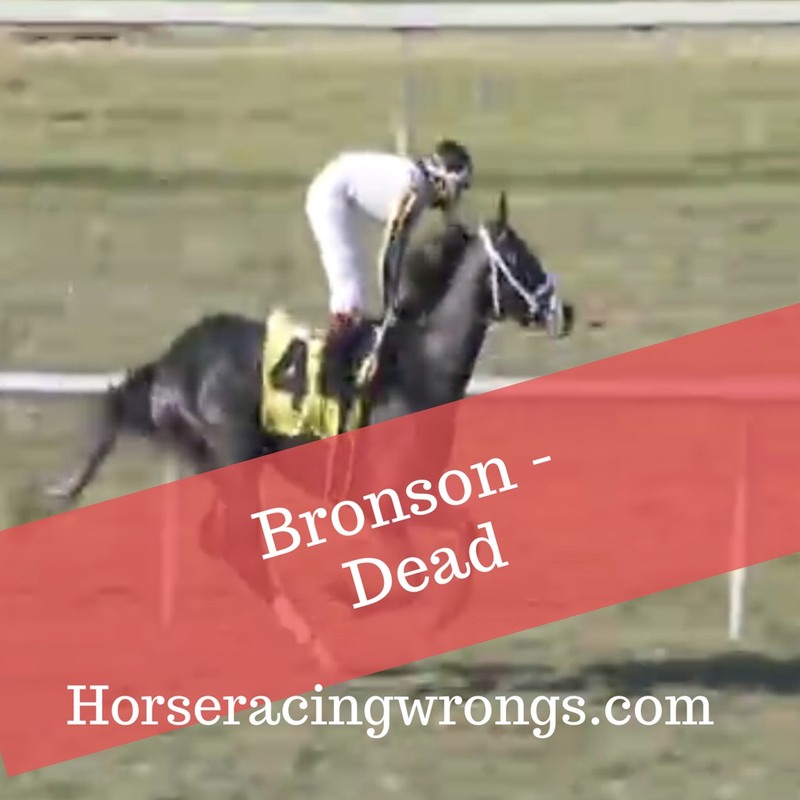 Bronson, a “vanned off” in the 10th at Kentucky Downs Saturday, is dead. Chief Steward Barbara Borden, as quoted in Paulick Report: “Past the wire, he injured his right hind leg catastrophically. They had to euthanize him.” That makes two kills (Chattel being the other) within a couple of hours at a single racetrack. To all those who went through the turnstiles Saturday, to the others across the country who wagered on KD races, please look within, for the simple, uncomfortable truth is this: no patrons, no races; no races – no dead Chattel, no dead Bronson. Yes, Robin – Bronson was only 4. Chattel, the other colt killed at KD the same day, was only 2.